Charles Ludwig Dodgson (1832 – 1898) or Lewis Carroll as he is more commonly known today. Author & photographer Lewis Carroll was often in Freshwater staying at Holly Tree Cottage, Victoria Lane, next door to William Allingham. The Cheshire Cat from the recent film based on Lewis Carroll’s famous story, Alice in Wonderland. 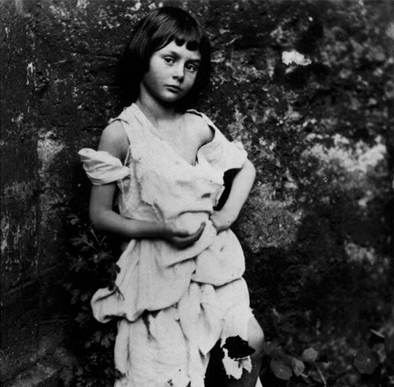 Lewis Carroll achieved huge success with his Alice stories, including Alice in Wonderland, but disliked the attention that this brought. Although Carroll was uncomfortable with his own literary fame, he was fascinated by many other Victorian celebrities, including the Tennysons. He made efforts to integrate himself into Tennyson’s circle of celebrity friends while holidaying in Freshwater. Carroll called at Farringford unannounced whilte Tennyson was cutting the grass in 1859. Painting by William Allingham’s wife, Helen. he wrote Alice in Wonderland. Alice stayed across the road at Whitecliff House. The photographer Julia Margaret Cameron treated Carroll with her customary generosity, but the two disagreed about photography. After she organised a joint exhibition of their work at Dimbola, the punctilious Carroll dismissed his hostess’s photographs as ‘all taken purposely out of focus’. 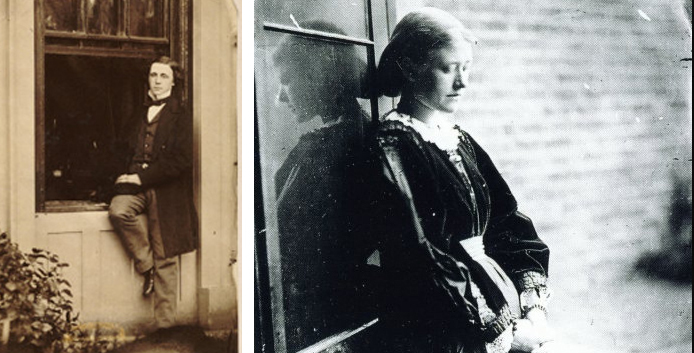 However, Lewis Carroll was good friends with the actress, Ellen Terry.